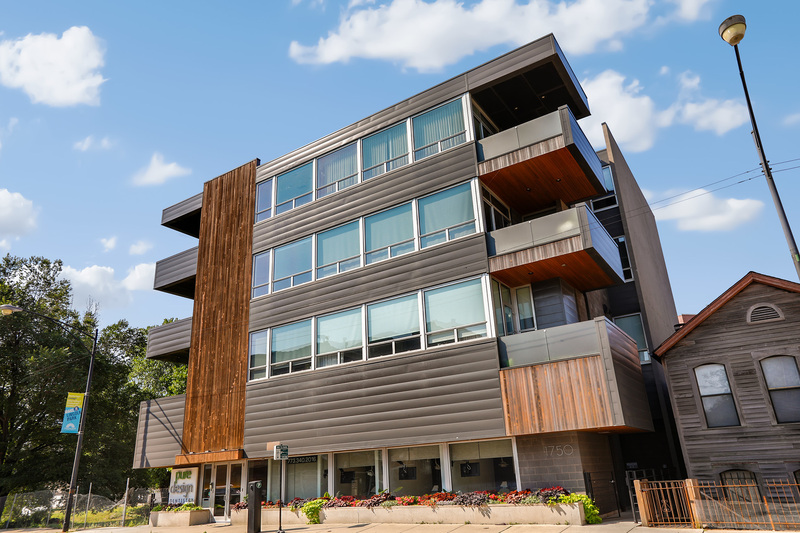 Stunning and modern 3 bed + 2 bath condo in boutique Lincoln Park elevator building. Quiet and spacious open concept with hardwood floors throughout. The living room features huge windows that bring in a ton of light and provides access to a private covered balcony. Modern chef kitchen complete with Miele and Subzero appliances, Arclinea cabinets, granite counter-tops, and a large island. The large master suite features a spa-style master bath with modern fixtures, two sinks, a large soaking tub, and a stone walk-in shower with 2 shower heads.Closets are outfitted with Elfa storage systems. Attached, heated parking and large storage unit included in price. Extra, free parking spaces in triangular lot in alley. Close to Whole Foods,great restaurants, shopping, and Red and Brown lines. Property information last modified by seller on Wednesday, September 26, 2018, 12:46 PM CDT. Information Deemed Reliable But Not Guaranteed. Unauthorized duplication, use, or linkage is prohibited. The information on this web site is for personal, non-commercial use and may not be used for any purpose other than to identify prospective properties consumers may be interested in purchasing. Monthly Payment Calculator results are for illustrative purposes only, not a financing opportunity; calculations assume a 30-year fixed-rate mortgage and do not include closing and other costs. Property Tax on NEW properties is estimated at 1.5% of Listing Price for payment calculation purposes; actual value may be higher or lower.